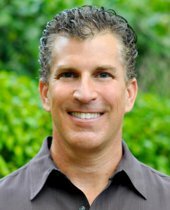 Jonathan Burg – Jonathan Burg is a Top Producing Real Estate Agent in the Naples Florida Real Estate Area. If you are looking for homes for sale ask Jonathan Burg to give you free access to all Real Estate Listings in the MLS. As the owner and Team leader at FLHouseHunters, Jonathan Burg has sold over 500 homes. 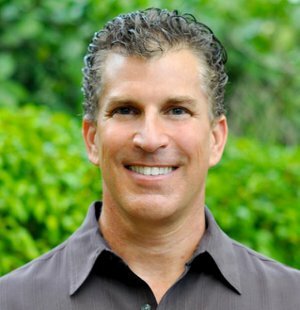 Jonathan Burg is an award winning platinum level Real Estate Broker in Naples Florida. Jonathan Burg has been assisting Buyers & Sellers with their Naples FL real estate needs for nearly 15 years. Call on Jonathan Burg when buying or selling your Primary Residence, Vacation Home, or Investment Properties. Jonathan Burg, and his full time team of professionals, know and service all aspects of real estate including: Single Family Homes, Subdivisions, Condominiums, High Rises, Villas, Town Homes, Commercial properties, and Lots & Land. Buyers from across the country, and around the world, come to Jonathan Burg seeking professional guidance, local market knowledge and top-level service. As a leading real estate broker in Naples FL, Jonathan has his finger on the pulse of the Naples FL real estate market. Jonathan Burg is well know for being a highly skilled contract negotiator. Selling Naples FL, or anywhere in Southwest Florida, call on Jonathan Burg. Marketing both locally & globally gives Jonathan Burg a huge advantage when listing your property for sale. Jonathan Burg has a high tech internet marketing plan that reaches local, national, and international buyers. Jonathan Burg consistently gets clients top dollar when selling. What makes the FL House Hunters Real Estate Team different? The Jonathan Burg Team at FL House Hunters is a Platinum Level Award Winning team of Real Estate Professionals specializing in the Naples FL real estate market. Sellers know we market locally & internationally to find the right buyer for their specific property. Buyers understand we are experts in our local Naples FL real estate market. Explaining our local customary procedures and interpreting the unique components of a Florida real estate sales contact is only the beginning of what we do for you. Jonathan Burg works ethically, and with integrity & dedication. Our customer service consistently provides uncompromising results for all of our clients. The FL House Hunters Real Estate Team services all areas and every community in Naples, Bonita Springs, Estero, Miromar Lakes, Fort Myers and Cape Coral.